When they’re not able to get into the shower or bath, it can seem impossible to keep their hair and scalp clean. No-rinse shampoos, dry shampoo, or wiping with wet cloths are helpful, but aren’t quite as good as a thorough hair washing. A real wash with water and regular shampoo will make your senior feel more comfortable and keeps their scalp healthier. Most of us have experienced (at least second-hand) the issues that arise when someone is sick and in bed for an extended period of time. The hair gets limp and often oily, matted with sweat and will tend to begin to smell after a few days. The short-term solution is the use of a “dry shampoo” or a “no-rinse” shampoo. These are typically similar in purpose, but are intended for differing hair types. 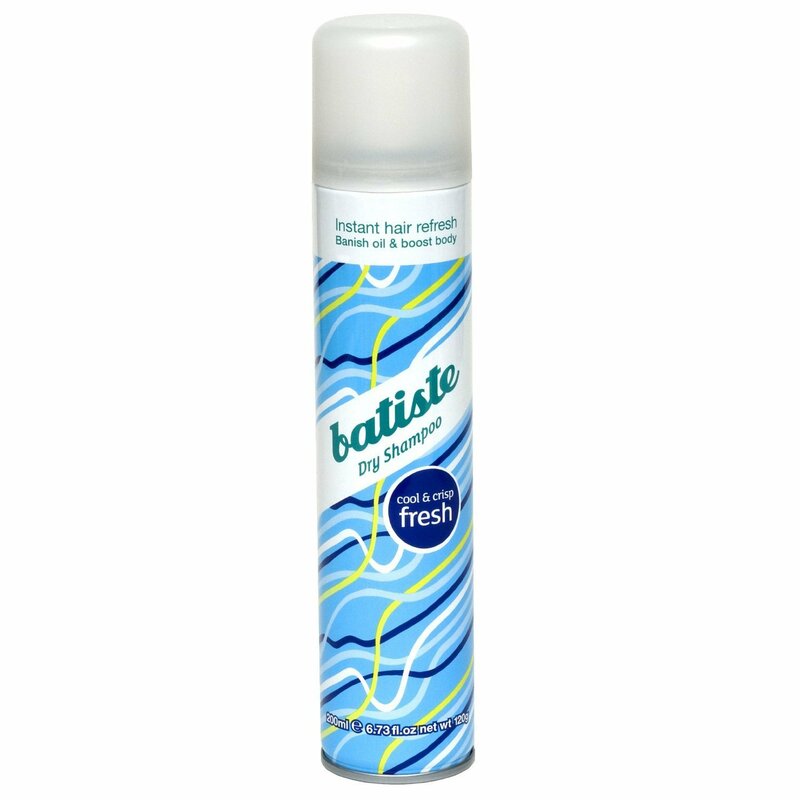 Dry shampoo is typically packaged as an aerosol spray that contains an oil-absorbing ingredient that can be brushed out of the hair once it has done its job. It’s typically used with those who have oily hair or straight-to-wavy hair types. You simply spray the powdery spray onto the hair at the scalp, let it dry (meaning allow the fast-drying propellant to evaporate) and use a natural-bristle brush to brush out the residue. Before the creation of specific products for this purpose, many people would use talcum powder or corn starch in small amounts to produce the same effects. 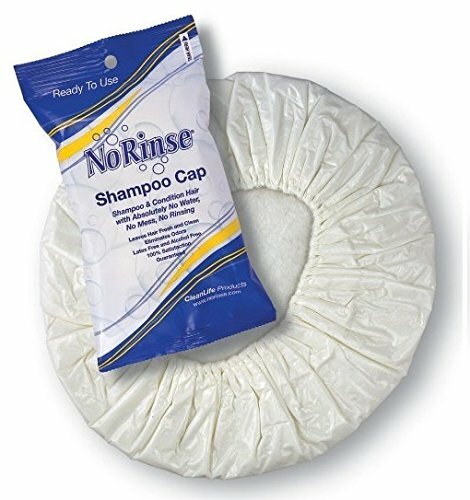 No-rinse shampoos are liquid based, and usually come in a foaming formulation that is applied liberally to the hair and allowed to dry on their own without rinsing. They often contain alcohol or other quick-drying ingredients as well as including leave-in conditioners to soften the hair and make it more manageable. These are used more with individuals with wavy-to-curly hair types and those whose hair tends to be dry or fly-away. When my mom was in the hospital, the nurse used a No Rinse Shampoo Cap to wash Mom’s hair. She just warmed the cap briefly in the microwave, put it on, and massaged Mom’s hair through the cap. Then she towel dried Mom’s hair a little, and let it air dry. I was surprised to see what a good job it did at getting her hair and scalp clean. This is a great option for a fast, no mess wash. While dry and no-rinse shampoos are great for the short-term, after a while, they seem less effective as the hair begins to develop build-up. When this happens, you want to be able to give the hair a thorough cleansing. To do this, you need to look at the process a little differently than you might normally consider it. 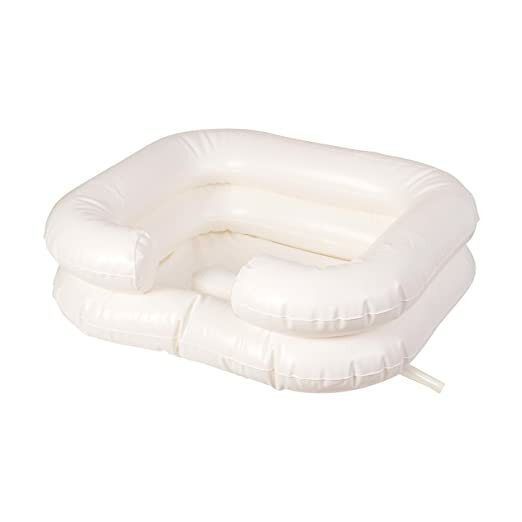 The DMI Basin is easy to inflate and stores easily and compactly when not in use. It has a convenient tube attached so you can drain the water into a large basin or the sink if it’s nearby. The bed shampooer is constructed of heavy duty vinyl for durability and is easy to clean. 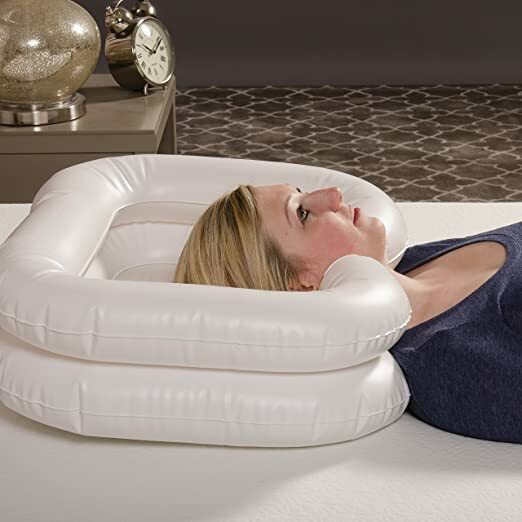 It even has a little built-in pillow for the head. The basin is extra deep and constructed of easy-to-clean heavy duty vinyl, and includes a 40″ drain tube. It measures 24 x 20 x 8 inches. Read the reviews. It can be challenging, but it’s definitely doable. The most important things to remember are to have everything you need in easy reach before you begin, and to do what you can to make the experience both relaxing and pleasant for both of you. Please share your tips with washing a bed-bound person’s hair in bed.